Summon Sorceress - SOFU-ENSE2 - Super Rare - Limited Edition Condition: Near Mint | Language: English. Near Mint (NM) - Cards with this grade will show no signs of play, have no bends, creases, bends, dings, wear on surfaces or edges, markings, coloring, etc. 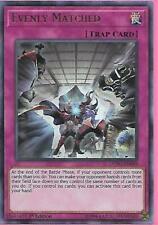 Dark Magician - DUPO-EN101 - Ultra Rare - Limited Edition Condition: Near Mint | Language: English. Near Mint (NM) - Cards with this grade will show no signs of play, have no bends, creases, bends, dings, wear on surfaces or edges, markings, coloring, etc. Gold Sarcophagus - HISU-EN051 - Secret Rare - 1st Edition Condition: Near Mint | Language: English. Near Mint (NM) - Cards with this grade will show no signs of play, have no bends, creases, bends, dings, wear on surfaces or edges, markings, coloring, etc. Near Mint (NM) - Cards with this grade will show no signs of play, have no bends, creases, bends, dings, wear on surfaces or edges, markings, coloring, etc. Lightly Played (LP) - Cards with this grade may have a few dings, light playwear and/or edgewear. Heavily Played (HP) - Cards with this grade may have dings, playwear and/or edgwear, creases or bends that may go the length of the card, markings and/or coloring, tears on the edges. Dark Rebellion Xyz Dragon - LEHD-ENC33 - Common - 1st Edition Condition: Near Mint | Language: English. Near Mint (NM) - Cards with this grade will show no signs of play, have no bends, creases, bends, dings, wear on surfaces or edges, markings, coloring, etc. Endymion, the Mighty Master of Magic - SR08-EN001 - Ultra Rare - 1st Edition Condition: Near Mint | Language: English. Heavily Played (HP) - Cards with this grade may have dings, playwear and/or edgwear, creases or bends that may go the length of the card, markings and/or coloring, tears on the edges. Galaxy-Eyes Solflare Dragon - SOFU-EN042 - Ultra Rare - Unlimited Edition Condition: Near Mint | Language: English. Near Mint (NM) - Cards with this grade will show no signs of play, have no bends, creases, bends, dings, wear on surfaces or edges, markings, coloring, etc. Toon Dark Magician Girl - DUPO-EN041 - Ultra Rare - 1st Edition Condition: Near Mint | Language: English. Near Mint (NM) - Cards with this grade will show no signs of play, have no bends, creases, bends, dings, wear on surfaces or edges, markings, coloring, etc. 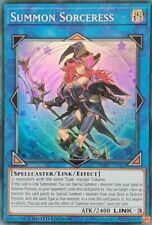 Dark Magician Girl - SS01-ENA04 - Common - 1st Edition Condition: Near Mint | Language: English. Near Mint (NM) - Cards with this grade will show no signs of play, have no bends, creases, bends, dings, wear on surfaces or edges, markings, coloring, etc. Impcantation Bookstone - SOFU-EN024 - Common - Unlimited Edition Condition: Near Mint | Language: English. Near Mint (NM) - Cards with this grade will show no signs of play, have no bends, creases, bends, dings, wear on surfaces or edges, markings, coloring, etc. Near Mint (NM) - Cards with this grade will show no signs of play, have no bends, creases, bends, dings, wear on surfaces or edges, markings, coloring, etc. Heavily Played (HP) - Cards with this grade may have dings, playwear and/or edgwear, creases or bends that may go the length of the card, markings and/or coloring, tears on the edges. 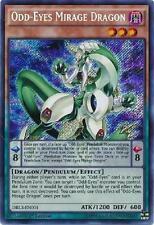 X3 YUGIOH STARDUST DRAGON DUPO-EN103. ULTRA RARE 1ST EDITION. 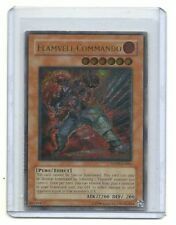 Chaos Form - LED3-EN011 - Common - 1st Edition Condition: Near Mint | Language: English. Near Mint (NM) - Cards with this grade will show no signs of play, have no bends, creases, bends, dings, wear on surfaces or edges, markings, coloring, etc. Breaker the Dark Magical Warrior - DUEA-EN040 - Rare - 1st Edition Condition: Near Mint | Language: English. Near Mint (NM) - Cards with this grade will show no signs of play, have no bends, creases, bends, dings, wear on surfaces or edges, markings, coloring, etc. Orcust Harp Horror - SOFU-EN016 - Rare - 1st Edition Condition: Near Mint | Language: English. Near Mint (NM) - Cards with this grade will show no signs of play, have no bends, creases, bends, dings, wear on surfaces or edges, markings, coloring, etc. Xtra HERO Wonder Driver - LEHD-ENA37 - Ultra Rare - 1st Edition Condition: Near Mint | Language: English. Near Mint (NM) - Cards with this grade will show no signs of play, have no bends, creases, bends, dings, wear on surfaces or edges, markings, coloring, etc. Isolde, Two Tales of the Noble Knights - SOFU-ENSE1 - Super Rare - Limited Edition Condition: Near Mint | Language: English. Heavily Played (HP) - Cards with this grade may have dings, playwear and/or edgwear, creases or bends that may go the length of the card, markings and/or coloring, tears on the edges. Number 39: Utopia - DUPO-EN104 - Ultra Rare - Limited Edition Condition: Near Mint | Language: English. Near Mint (NM) - Cards with this grade will show no signs of play, have no bends, creases, bends, dings, wear on surfaces or edges, markings, coloring, etc. 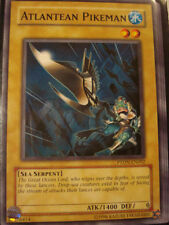 Xtra HERO Dread Decimator - LEHD-ENA00 - Ultra Rare - 1st Edition Condition: Near Mint | Language: English. Near Mint (NM) - Cards with this grade will show no signs of play, have no bends, creases, bends, dings, wear on surfaces or edges, markings, coloring, etc. Pot of Desires - SR08-EN034 - Common - 1st Edition Condition: Near Mint | Language: English. Near Mint (NM) - Cards with this grade will show no signs of play, have no bends, creases, bends, dings, wear on surfaces or edges, markings, coloring, etc. Secret Six Samurai - Doji - SPWA-EN004 - Secret Rare - 1st Edition Condition: Near Mint | Language: English. Near Mint (NM) - Cards with this grade will show no signs of play, have no bends, creases, bends, dings, wear on surfaces or edges, markings, coloring, etc. Longirsu, the Orcust Orchestrator - SOFU-EN044 - Super Rare - Unlimited Edition Condition: Near Mint | Language: English. Heavily Played (HP) - Cards with this grade may have dings, playwear and/or edgwear, creases or bends that may go the length of the card, markings and/or coloring, tears on the edges. 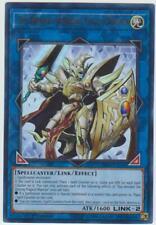 Galaxy-Eyes Full Armor Photon Dragon - DUPO-EN063 - Ultra Rare - 1st Edition Condition: Near Mint | Language: English. Near Mint (NM) - Cards with this grade will show no signs of play, have no bends, creases, bends, dings, wear on surfaces or edges, markings, coloring, etc. Mirror Force - YS18-EN036 - Common - 1st Edition Condition: Near Mint | Language: English. Near Mint (NM) - Cards with this grade will show no signs of play, have no bends, creases, bends, dings, wear on surfaces or edges, markings, coloring, etc. Number S0: Utopic ZEXAL - MACR-ENSE2 - Super Rare - Limited Edition Condition: Near Mint | Language: English. Near Mint (NM) - Cards with this grade will show no signs of play, have no bends, creases, bends, dings, wear on surfaces or edges, markings, coloring, etc. Secret Six Samurai - Genba - SPWA-EN002 - Super Rare - 1st Edition Condition: Near Mint | Language: English. Near Mint (NM) - Cards with this grade will show no signs of play, have no bends, creases, bends, dings, wear on surfaces or edges, markings, coloring, etc. Welcome to our listing! You will receive the card(s) in the picture in M/NM condition. Check out our eBay for other great offers and deals! *Card(s) will be shipped 1-2 business days after payment. *International shipping available. *Message us for any questions or pictures regarding any of our product! Artifact Lancea - DUEA-EN034 - Common - 1st Edition Condition: Near Mint | Language: English. Near Mint (NM) - Cards with this grade will show no signs of play, have no bends, creases, bends, dings, wear on surfaces or edges, markings, coloring, etc. Cyber End Dragon - LED3-EN017 - Common - 1st Edition Condition: Near Mint | Language: English. Near Mint (NM) - Cards with this grade will show no signs of play, have no bends, creases, bends, dings, wear on surfaces or edges, markings, coloring, etc. In case such thing happened, you will receive full money back. El Shaddoll Winda - SHVA-EN049 - Secret Rare - 1st Edition Condition: Near Mint | Language: English. Near Mint (NM) - Cards with this grade will show no signs of play, have no bends, creases, bends, dings, wear on surfaces or edges, markings, coloring, etc. 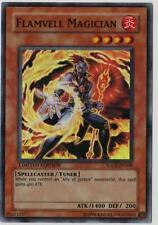 Hot Red Dragon Archfiend Bane - DUPO-EN058 - Ultra Rare - 1st Edition Condition: Near Mint | Language: English. Near Mint (NM) - Cards with this grade will show no signs of play, have no bends, creases, bends, dings, wear on surfaces or edges, markings, coloring, etc. Divine Serpent Geh - DUPO-EN047 - Ultra Rare - 1st Edition Condition: Near Mint | Language: English. Near Mint (NM) - Cards with this grade will show no signs of play, have no bends, creases, bends, dings, wear on surfaces or edges, markings, coloring, etc. Akashic Magician - SHVA-EN052 - Super Rare - 1st Edition Condition: Near Mint | Language: English. Near Mint (NM) - Cards with this grade will show no signs of play, have no bends, creases, bends, dings, wear on surfaces or edges, markings, coloring, etc. Norito the Moral Leader - BLRR-EN058 - Ultra Rare - 1st Edition Condition: Near Mint | Language: English. Near Mint (NM) - Cards with this grade will show no signs of play, have no bends, creases, bends, dings, wear on surfaces or edges, markings, coloring, etc. Mudragon of the Swamp - CT15-EN005 - Ultra Rare - Limited Edition Condition: Near Mint | Language: English. Near Mint (NM) - Cards with this grade will show no signs of play, have no bends, creases, bends, dings, wear on surfaces or edges, markings, coloring, etc. 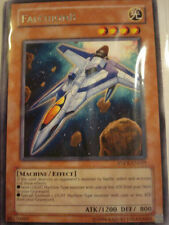 Assault Wyvern - MVP1-EN003 - Ultra Rare - Unlimited Edition Condition: Near Mint | Language: English. Near Mint (NM) - Cards with this grade will show no signs of play, have no bends, creases, bends, dings, wear on surfaces or edges, markings, coloring, etc. Yu-Gi-Oh! Ash Blossom & Joyous Spring MACR Unlim Near Mint. 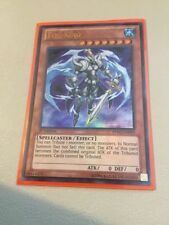 YUGIOH JUMP-EN079 ODD-EYES PERSONA DRAGON ULTRA RARE HOT! MULTIPLE AVAILABLE!!!! Yu-Gi-Oh! 100 Random ALL Foil Cards Lot (Super/Ultra/Secret) Deck Box + Sleeves! Individual Yu-Gi-Oh cards provide you, the duelist, with the building blocks you need to start building your collection or craft a starter deck that can be used in matches and tournaments with other players. These single cards vary greatly in rarity, which is important because rarer ones can be more powerful in battle. By selecting individual monsters, spells, or traps, you can have complete say over which ones you obtain and how you use them to send your opponent to the Shadow Realm. What are the different types of Yu-Gi-Oh cards? There are three types of cards available in the Yu-Gi-Oh game: monster, spell, and trap cards. They can be found as singles or in a pack. Monster - Monster cards are the primary way in which you can attack an opponent and deplete their life points. Some monsters have their own spells and traps that can be useful for defense as well. Spells - Spell cards can be played directly from your hand or placed into the field of play in order to be used later in the match. Spells can boost the attack damage of your monsters, destroy opponent cards, or reduce the life points of your opponent. Traps - These are used and activated in specific situations, such as when an opponent attacks. When used in the right situation, they can destroy monsters or redirect damage to the opponent. How are Yu-Gi-Oh decks formed? When you're getting ready to play a match against a friend or have entered into a Yu-Gi-Oh tournament, you'll be tasked with building a deck of single cards that can be used throughout the match. Typically, this deck is comprised of anywhere from 40 to 60 cards, although a separate side deck of 15 may also be allowed if you wish to switch out some monsters or spells between matches. You can only use three of each card per deck and must not use any monster, spell, or trap singles in the deck that's on the forbidden or limited list. Different tournaments can have different rules, so be sure to check the rules for the tournament you plan on playing in. What do the different Yu-Gi-Oh rarities indicate? When you're battling an opponent in Yu-Gi-Oh, the monsters, spells, or traps you use can make all the difference in turning the tides of battle. In most cases, the higher the rarity, the more powerful a card will be in battle. There are six different rarities in Yu-Gi-Oh. Understanding how to identify the single cards you obtain is helpful whether you're just collecting them or building a deck to use in match play. Common – These single cards are often the easiest to find and come with no special lettering or holofoil. Rare – These are somewhat common and are identified by their use of silver and black holofoil for the lettering of the card names. Secret Rare – The foil on the name is holographic silver, while the art itself is polarized for a unique look. Super Rare – The art on these is printed in holofoil. Ultimate Rare – The art, borders, and buttons on these Yu-Gi-Oh cards are embossed in a specialized relief effect. Ultra Rare – These Yu-Gi-Oh cards consist entirely of gold holofoil lettering for a very distinct look. Content provided for informational purposes only. eBay is not affiliated with or endorsed by Konami.